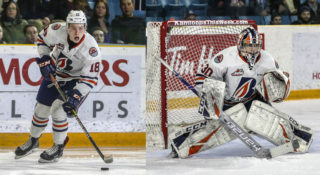 Kamloops, BC – The Kamloops Blazers had one player selected in the 2017 NHL Draft as goaltender Dylan Ferguson was taken in the 7th round, 194th overall by the Dallas Stars. The 6’2” and 185lb goaltender had a breakout 2016-17 season. In 31 games, Ferguson went 16-10-0-2 with a 2.74 goals against average and a .922 save percentage. 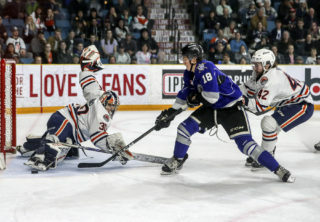 He was named the Blazers Most Improved Player and is likely to be the Blazers starting goaltender with Connor Ingram expected to play pro hockey next season. 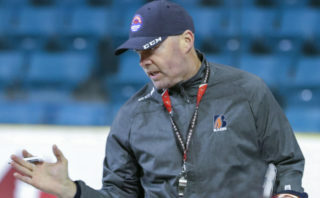 Ferguson was originally chosen by the Blazers in the eighth round of the 2013 WHL Bantam Draft. The Lantzville, BC native has suited up in 47 career games with the Blazers over the past two seasons. 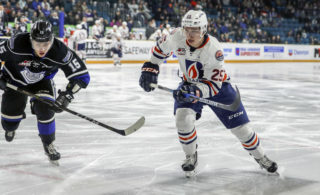 To purchase your 2017-18 season tickets, or for other ticketing information, please contact either Sean or Missy at 250-828-1144 or by email at spitts@blazerhockey.com or mcederholm@blazerhockey.com.